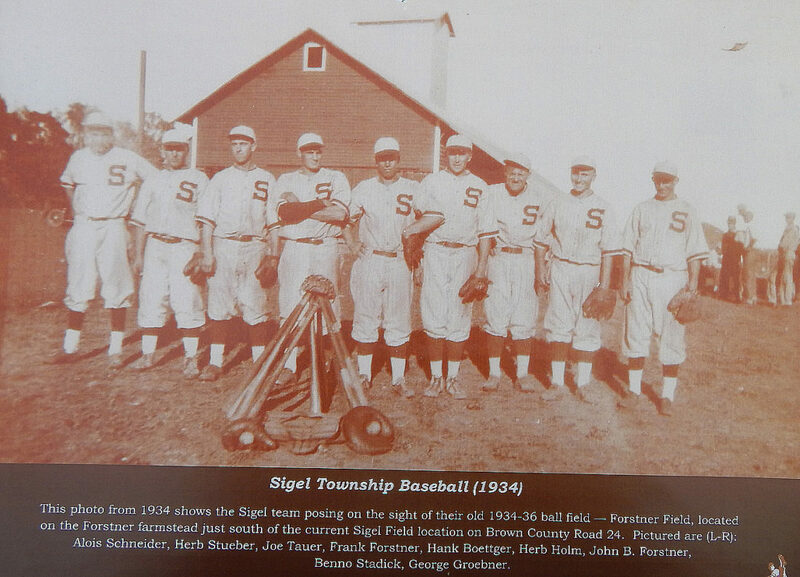 Submitted photo The 1934 Sigel Township Baseball team. From left, Alois Schneider, Herb Stueber, Joe Tauer, Frank Forstner, Hank Boettger, Herb Holm, John F. Forstner, Benno Stadick and George Groebner. Submitted photo This recent photo was taken from a drone flying over the Sigel Ball Park fields. Staff photo by Fritz Busch Sigel Legends, from left, Leo Guggisberg, Dave Hoffmann, Carl Rolloff, Don Guggisberg, Larry Holm, Tony Hillescheim, Rock Holm, Connie Grams, Blake Kral and Bill Hoffmann. Submitted photo Jack Schroepfer carries his baseball bat and a back pack full of gear for a game at Sigel Ball Park. Baseball, mom and apple pie. You can still find these things and a few other slices of Americana at Sigel Ball Park. 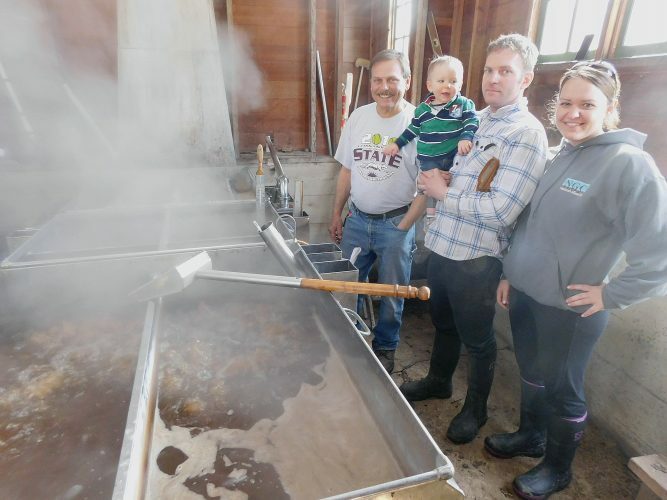 More than 50 years ago, local farmers gathered in front of the Sigel Creamery, waiting for their milk to be dumped. They talked about the weather, grain price, told jokes and wondered what direction the world was going, according to the Sigel 50th Anniversary Cook Book dedication. A some point, the conservation turned to the local youth. They needed a place to gather, play and have fun. The seeds were sown and planning began for a ball park. Leo W. Tauer donated the land. Volunteers came with graders and shovels. 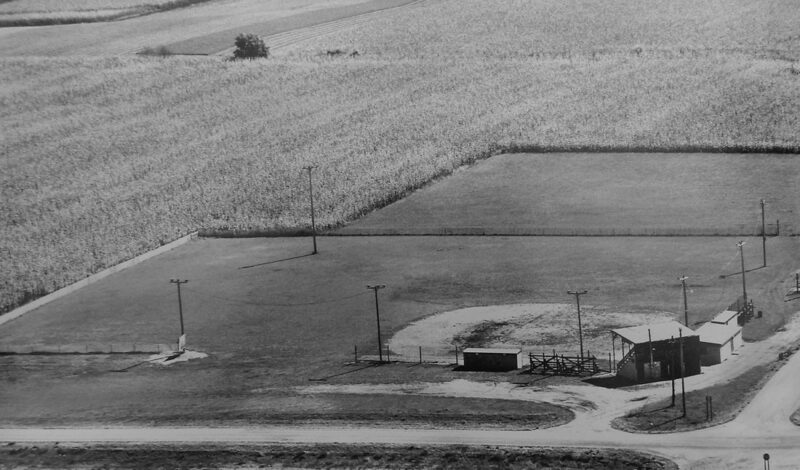 The Sigel Ball Park was born, carved out of a corn field. 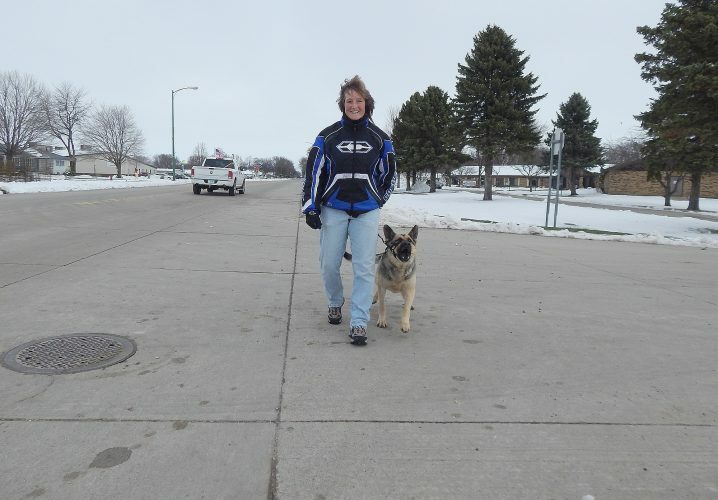 It’s not unusual to see a teenager walking along a county or township road, carrying a bat and backpack of athletic equipment near Sigel Ball Park. You may even seen a budding ball player walking across a farm field to the ball park. “This was the place to be. 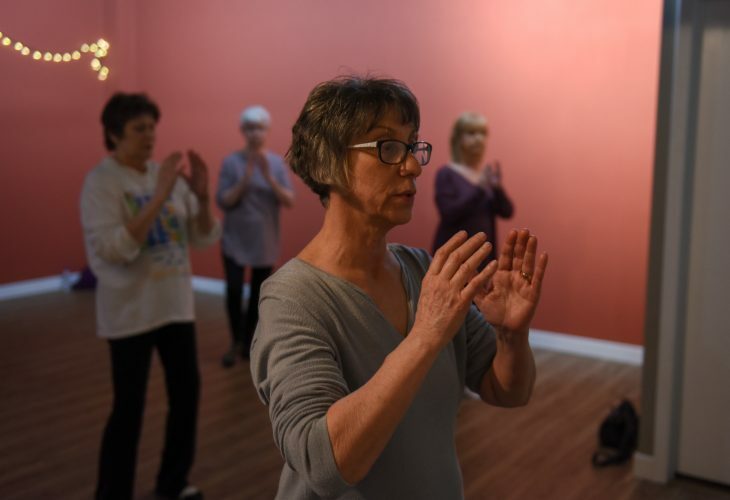 My dad didn’t like me playing ball, but I walked, even sometimes ran across fields to get here,” said Donna Guggisberg, wearing an old Sigel team shirt. 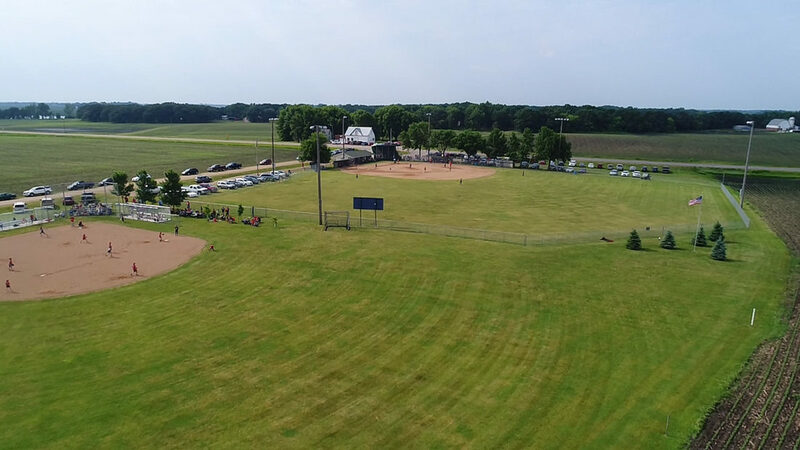 The “Field of Dreams” ball park is still the place for kids to meet and play ball and for parents, grand parents, relatives and friends to gather. A 50th anniversary celebration will be held at the ball park, Saturday, June 24. A co-ed, go and go, pickup game for Sigel alumni boys and girls and men and women will be played from 2 to 4 p.m.
Old-time music will be provided by Johnny Helget and Nick Stadick from 2 to 5 p.m. The Bockfest Boys will perform from 5 to 9 p.m. Anniversary Sigel Athletics t-shirts and cook books with historical photos are available. Photos include the 1934 Sigel Township team and Sigel Athletic Association Share Certificates, which are still available for $10. Other photos feature the field after ball park lights were erected in 1972. The lights enabled adult men’s softball games to be played at night. Those games and other fundraising enabled Sigel to offer youth baseball and softball without fees. Another cook book photo features an aerial view of the ball park in 1977 after a grandstand was built and an adjacent second field was created. One of the more unique photos depicts pig racing and youth hula hooping. 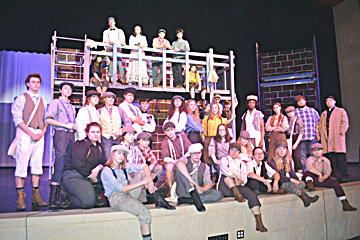 Boneless pork chop sandwiches were served. Page 1 of the cook book includes a photo of the Sigel Creamery taken before the ball park was built. The creamery building shell remains across the highway from the ball park. The creamery operated for many decades before going out of business May 31, 1972, according to the Legends. Today, both ball fields remain well used for youth and adult leagues. The ball park concession stand offers beverages and food including “Works” burgers with cheese, sauerkraut and fried onions. Hot dogs and barbecue sandwiches are sold. 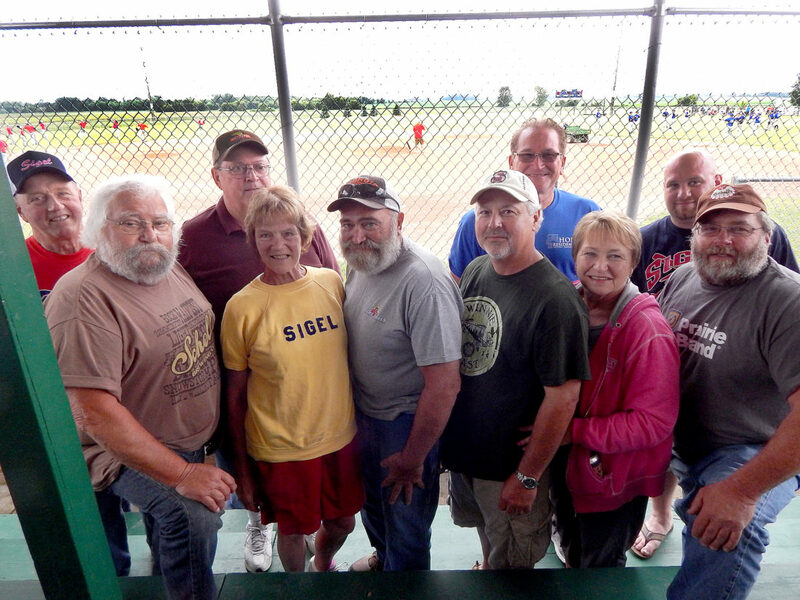 The Sigel “Legends” (board members, volunteers and ball park lovers) gathered at a recent anniversary benefit Sunday of ball games. Names of the softball teams of the 60’s and 70’s were recalled. 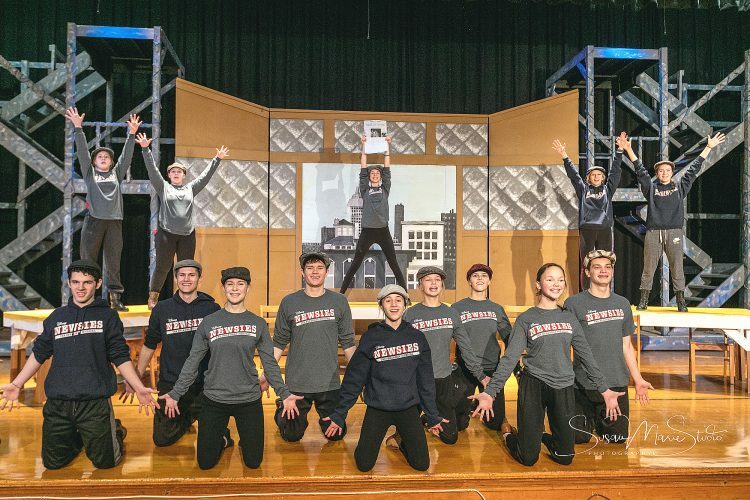 Besides Sigel Juniors and Seniors, teams included Searles, Hanska, Miller Sellner of Sleepy Eye, the Klossner Co-op, Wellmann’s Feed Pigs, Osborne Plumbing, Don’s DeLaval, later Farasyn Construction, Harrison Construction, to mention a few. Other ball park memories included a July 1983 storm that blew the roof off the grandstand. Field of dreams indeed. Kyle E. Fischer of New Ulm began his playing days at Sigel Ball Park. He later pitched at St. Cloud State University and was drafted in the 30th round of the Major League Baseball Amateur Draft in 2014. Fischer carried a 2.93 Earned Run Average (ERA) in two high A ball seasons, striking out 19 in 30.2 innings. In two Class A seasons, he sported a 2.44 ERA, fanning 90 batters in 92.1 innings. 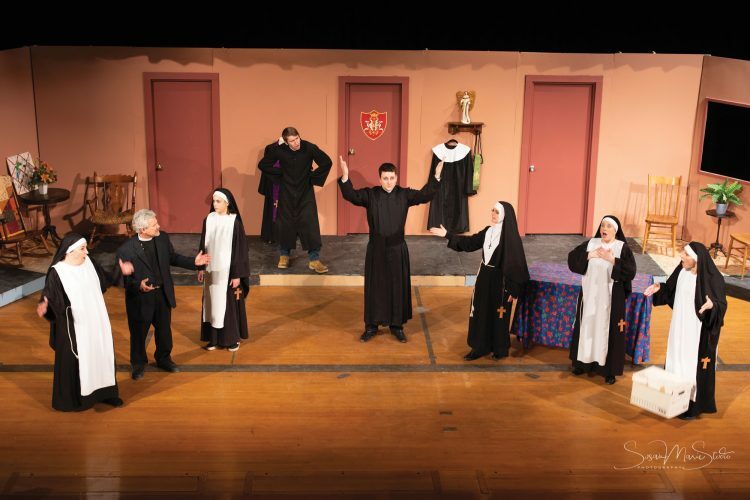 “It’s nice to have the support we do from board members and businesses. Without it, we would not have a ball park,” said Sigel Ball Park board member Jim Guggisberg.